Thank you so much for riding the wave of this quick transition. All of us at Isthmus Wellness appreciate your flexibility and patience as one chapter concludes and another begins. Below are a few updates and answers to our many recent inquiries. Q: What about my pre-paid packages from Isthmus Acupuncture Center? A: As of this week, Isthmus Wellness will be honoring existing packages from Isthmus Acupuncture. Based on the information we have, we will be able to apply your pre-paid packages to treatment sessions at Isthmus Wellness. Any additional questions about pre-paid packages can be directed to info@isthmuswellness.com. Q: What are your hours and are you open on weekends? A: We are open Monday-Thursday from 10:00 am until 7:00 pm. Friday we are open from 10:00 am until 3:00 pm. Our new provider, Jahna Cook, will be providing acupuncture, facial rejuvenation cupping and 30 and 60 minute cupping treatments on Saturday mornings from 9:00 am until 12:00 pm as well as Tuesday nights from 3:00 until 7:00 pm. Q: Can I book appointments online? A: Yes! For your convenience, you can book appointments online through our website at www.isthmuswellness.com. Look for the link below on our home page or click the link right now to schedule your appointment today! Please Note: If you previously logged-in through Isthmus Acupuncture, you will need to create a new login to book online through Isthmus Wellness. Q: How can I get a free sauna? 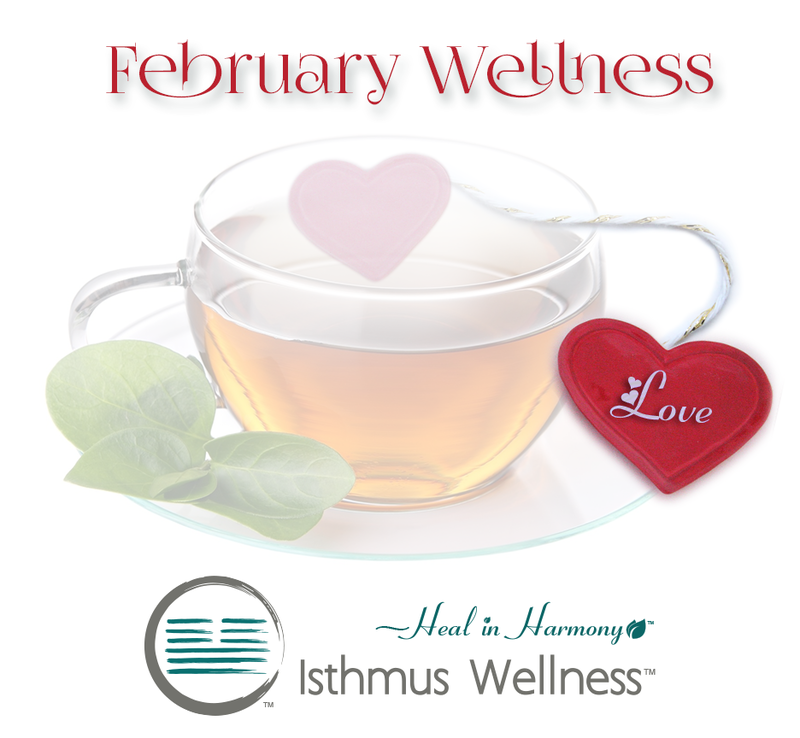 • Post about us on your Facebook page and tag Isthmus Wellness. • Write a review on our Facebook page (https://www.facebook.com/Isthmuswellness). • Write a review on Google. Q: Any fun offers for Valentine’s Day? A: Yes! Any gift certificate over the amount of $70 purchased this weekend, through Friday, February 19, will come with a complementary sauna! This coming week we will also will be featuring a limited supply of our custom blend called, Love Yourself Blend. An intoxicating mix of lime, jasmine, clary sage, lavender and tangerine; this blend is perfect to use when you’re with that special someone. Every emotion has a frequency: the Love Yourself Blend raises our frequency so we can be kinder, more loving and more compassionate with ourselves. The way we love ourselves is the way that we love others. Apply this blend over your heart chakra as well as your inner elbows to invigorate the heart energy, release fear and encourage the ability to listen and trust your heart this Valentine’s Day!